The detection of eyes and their parts, gaze estimation, and eye-blinking frequency are important tasks in computer vision. In last years, we have been solving these tasks in the area of driver's behaviour, which causes the acquiring of a lot of testing data that was acquired in real conditions. Therefore, we introduce the MRL Eye Dataset, the large-scale dataset of human eye images. This dataset contains infrared images in low and high resolution, all captured in various lightning conditions and by different devices. The dataset is suitable for testing several features or trainable classifiers. In order to simplify the comparison of algorithms, the images are divided into several categories, which also makes them suitable for training and testing classifiers. Please contact Radovan Fusek for questions about the dataset. The example images from this dataset of open and closed eyes are shown below. To obtain eye images, we used the eye detector based on the histogram of oriented gradients (HOG) combined with the SVM classifier. 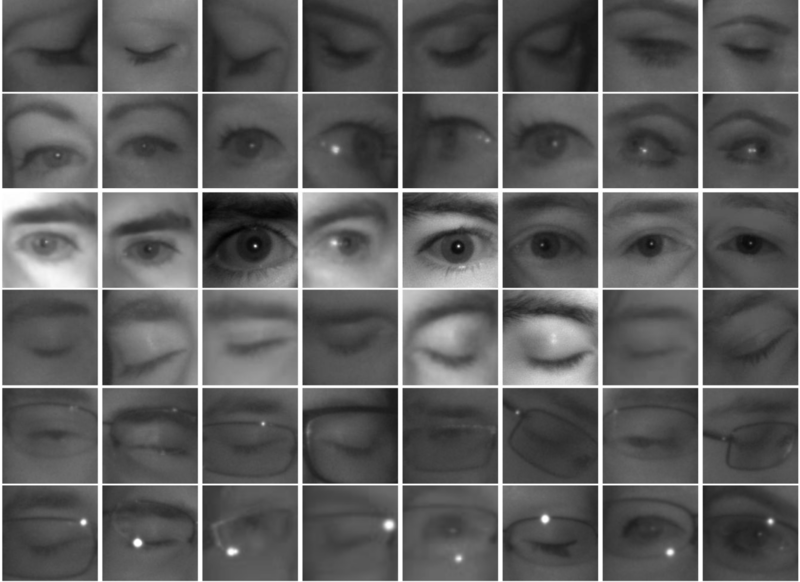 The eye images presented in the proposed dataset can be used to train the eye detector. 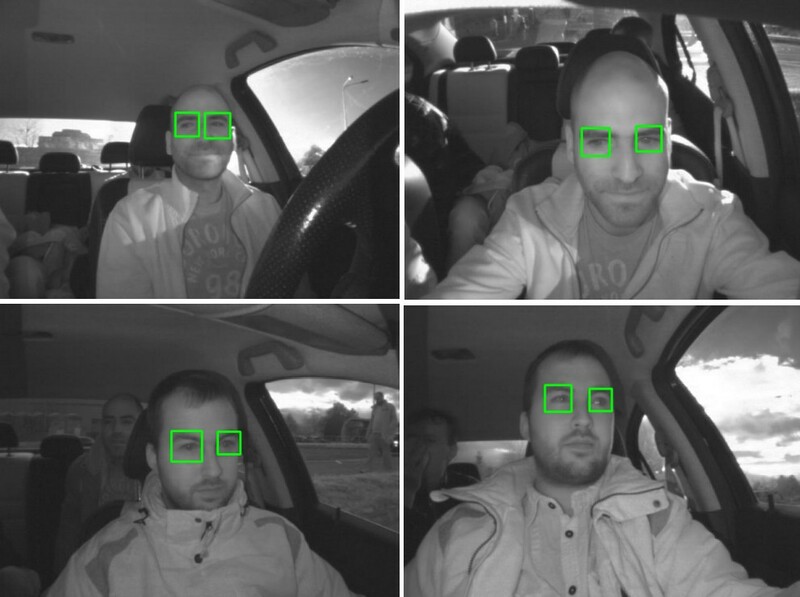 Examples of eye detection are shown in the following images.